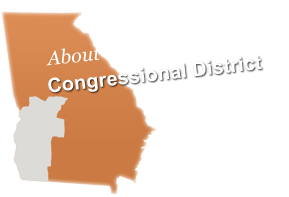 WASHINGTON, DC – Today, Congressman Sanford D. Bishop, Jr. (GA-02) marked 100 days since the new House Democratic Majority was sworn in on January 3rd, highlighting swift legislative progress on core pillars of House Democrats’ For The People legislative agenda. WASHINGTON, DC – Today, Congressman Sanford D. Bishop, Jr. (GA-02) Chairman of the U.S. House Appropriations Subcommittee on Agriculture, Rural Development, Food and Drug Administration, and Related Agencies issued the following statement after the House Appropriations Committee Chairwoman Nita M.
WASHINGTON, DC – Today, Congressman Sanford D. Bishop, Jr. (GA-02), Chairman of the U.S. House Appropriations Subcommittee on Agriculture, Rural Development, Food and Drug Administration, and Related Agencies released the following statement after the House approved H.R. 1644, the Save the Internet Act 232 to 190. WASHINGTON, D.C. – Earlier today, President Donald Trump signed into law legislation that, among other things, would expand and protect Ocmulgee National Monument. Washington, D.C. – Today, Congressman Sanford D. Bishop, Jr. (GA-02) and the Bipartisan Historically Black Colleges and Universities (HBCU) Caucus and the Science, Technology, Engineering, Art, and Mathematics (STEAM) Caucus is hosting the second annual HBCU STEAM Day of Action on Capitol Hill.